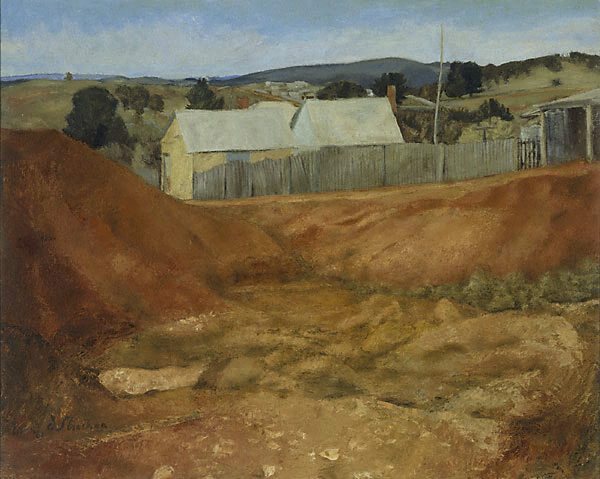 This painting won the Wynne Prize in 1961 and was acquired by the Gallery in 1962. Signed and dated l.l. corner, brown oil "d Strachan/ '61". The Wynne prize: an Australian landscape tradition , Sydney, 1986, 20 (colour illus. ), 29. The Sydney Morning Herald , Sydney, 20 Jan 1962. Daily telegraph and daily news , Sydney, 19 Jan 1962. Sunday telegraph , Sydney, 19 Jan 1962. Daily Mirror , Sydney, 21 Jan 1962.